Happy fall from the Dunkin’ Donuts test kitchen! 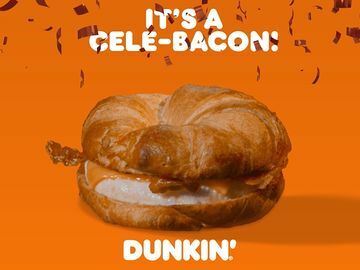 As a member of the Dunkin’ Donuts culinary team, I am excited to share a DDelicious recipe that is inspired by our Munchkins donut hole treats. When asked to bring baked goods to gatherings, I always think it’s fun to surprise friends and family with a little something above and beyond. 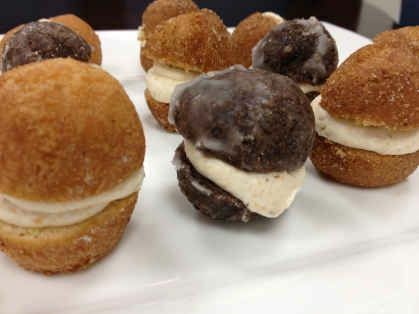 Our culinary team recently developed a simple recipe for Munchkin Whoopie Pies—these miniature treats will be a hit with any group of DD fans! 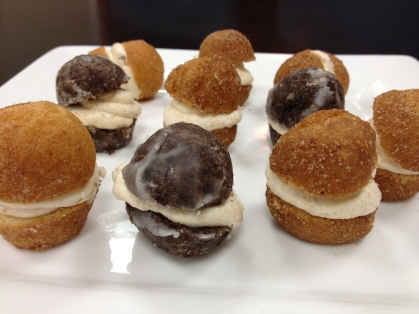 Simply pick up your favorite munchkins donut hole treats and whip up these delightful mini whoopie pies! 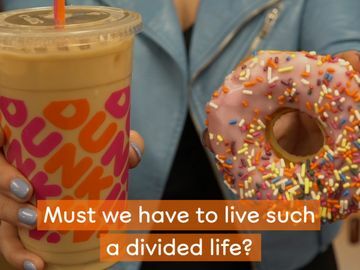 At Dunkin’ Donuts, we have a variety of munchkins donut hole treats that can be purchased in 25 or 50 count boxes to surprise and delight a group. We also often have seasonal munchkins donut hole treats that are available for a limited time only, like pumpkin in the fall, or red velvet for the holiday season. Munchkins, when sliced in half, offer the perfect "canvas" for an easy, yet flavorful mini whoopie pie that you can make at home! 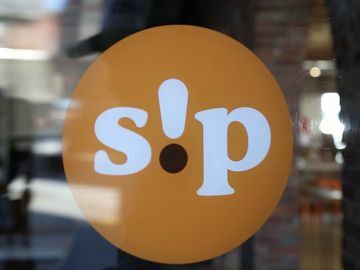 In addition to the munchkins donut hole treats, we're also incorporating our fan-favorite Pumpkin Latte to create the pumpkin spice flavored whoopie pie filling, but you could easily swap with any of our other latte flavorings. 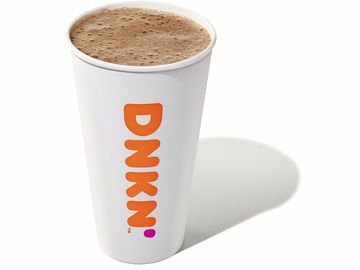 Dunkin' Donuts will offer Pumpkin, White Chocolate Pumpkin and Pumpkin Mocha lattes at participating U.S. restaurants throughout the fall and holiday season. 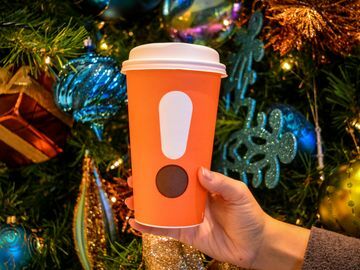 We are also introducing three seasonal latte flavors - Gingerbread, Peppermint Mocha and White Chocolate, which would also be fun to experiment with (see below for swap ideas!). Pumpkin Munchkin Whoopie Pies: the perfect aDDition to any after-school snack or Halloween party spread! 1 box (25 count) Dunkin Donuts Munchkins - we recommend chocolate, plain cake, cinnamon, butternut, or coconut munchkins. 1 Donut - we recommend using chocolate, plain cake, cinnamon, butternut, or coconut donuts. Slice the Munchkins in half, creating two equal halves. Put to side. In a food processor, add the Cream Cheese, mix until smooth. Slowly add the confectioners sugar, the pumpkin spice, then half of the Pumpkin Latte. Crumble the Donut into the cream cheese mixture and mix until just combined. In a small bowl, whisk the 4 oz of heavy cream until you have stiff whipped cream. Add the Cream Cheese mixture to the whipped cream and gently fold the mixture together. Place the Cream cheese mixture into a piping bag fitted with a piping tip. Taking one of the halved Munchkins, pipe on the Cream Cheese mixture, cover with the other half creating your Munchkin Whoopie Pie. Continue with the remaining cut Munchkins. Place the Munhckin Whoopie Pies onto a plate. With the remaining two tablespoons of confectioners sugar, dust the tops of the whoopie pies. Somewhere in between the leaf raking and holiday shopping, we hope that you will make time to enjoy this tasty fall recipe!